Our first gig for 2014 is taking place on Saturday, February 1 from 3pm. 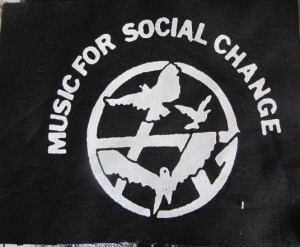 The gig is to raise funds for the Melbourne chapter of the Anarcho-Syndicalist Federation, the Australian section of the International Workers' Association. The IWA held its 25th Congress in Valencia on December 6--8, 2013 and the gig is to help defray costs associated with the ASF's participation. You can listen to our comrade [email protected] being interviewed on�3CR Monday Breakfast here. The interview starts at the 37 minute mark and goes for about 10 minutes. [email protected] touches on: the philosophy of anarchism; the life and death of Francesco Fantin; the Fantin Reading Group; the Direct Action Collective; and the influence of anarchist principles on the Occupy movement. 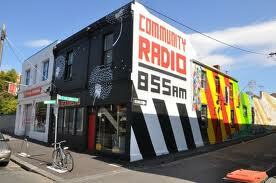 With thanks to our friends at 3CR Community Radio (855AM, on digital radio and online). Happy listening! On Saturday, November 16 from 3pm MAC will be hosting a benefit gig and BBQ for the Tecoma 8 -- 8 people being dragged through the courts for daring to challenge McDonald's corporation in their attempts to colonise the Dandenong Ranges. 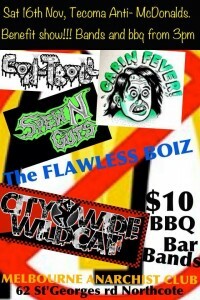 The gig will feature music from seven bands -- including Cabin Fever, Citywide Wildcat, Con-Troll, Flawless Boiz and Spew'N'Guts -- and a BBQ. Entry is $10 with all proceeds going to the campaign in defence of the Tecoma 8. The MAC is located at 62 St Georges Road in Northcote. The next meeting of the Fantin Reading Group is on Sunday, October 20 at 1.30pm. The reading for the meeting is an essay by Cornelius Castoriadis titled 'Recommencing the Revolution'. All welcome. For more details see the Fantin Reading Group blog. Distorted: Reflections on early Sydney punk - Trailer #1 (2013) from Des Devlin on Vimeo. This documentary charts the growth and development of the punk scene in the first city in Australia where it appeared with a particular emphasis on the famed Grand Hotel at Railway Square. Featuring interviews with those who were there including the musicians, activists, artists, squatters and anarcha-feminists and actual never-before-seen footage of live bands. 'Distorted: Reflections on early Sydney punk' firmly locates the punk scene in Sydney in its social and political context in what some have claimed as the last true white rebellion in Australia. This will be the first time it is to be shown in Melbourne before going on to wider release next year. 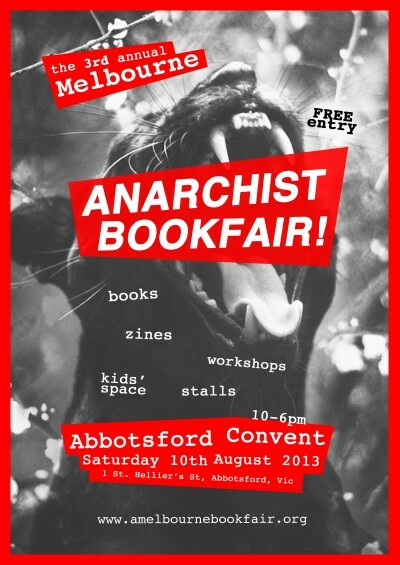 MAC will be tabling at and participating in the Melbourne Anarchist Bookfair on Saturday, August 10 at Abbotsford Convent. Entry is free. For more details see the Bookfair website. On Sunday, August 25 we will be hosting another meeting of the Fantin Reading Group, when we will be discussing the essay 'On the Content of Socialism' by Cornelius Castoriadis. The reading is available on the Reading Group blog. Coming up in September: a screening of a new documentary film on the early Sydney punk scene. We are pleased to host our Italian comrade, Giordano di Jesi, who will be presenting a talk on health & social inequalities, from a uniquely anarchist perspective. Giordano will also talk about the current struggle in his own workplace, and provide us with an update on the Italian/European situation. Giordano is in Melbourne for an international health conference. In 2011 Giordano completed a PhD in sociology & epidemiology, focusing on health inequalities.�He currently works as a nurse at a regional hospital near Ancona, which is facing the austerity measures of the centre-left regional government. Giordano is a member of the Anarchist Group Mikhail Bakunin in Jesi, which is a part of the Italian Anarchist Federation; a section of the International Anarchist Federation. 1) The Direct Action Collective (i.e the activist arm of both the MAC and the Anarcho-Syndicalist Federation- Melbourne) will be attending the May Day demo @ the 8 Hour Monument from 12pm, on Wednesday 1st May. Anyone interested in attending a May Day planning meeting is welcome to come along this coming Saturday 27th April at 3pm @ MAC. We will also be having a banner/poster making session afterwards. BYO paint, brushes and materials. 2) May Day Celebratory BBQ @ MAC, Sunday 5th May from 4pm. 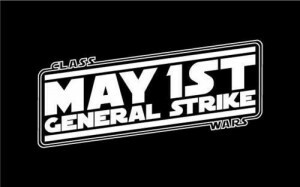 We are holding the BBQ after the Trades Hall Council May Day Rally, (which is held at the bosses� convenience) on Sunday at 1pm. The DAC will be participating in both marches. Come join us at MAC to celebrate May Day with food, drinks, and music from DJ Pete! We will also be introducing our anti-election candidate: Nobody. Vote for Nobody!